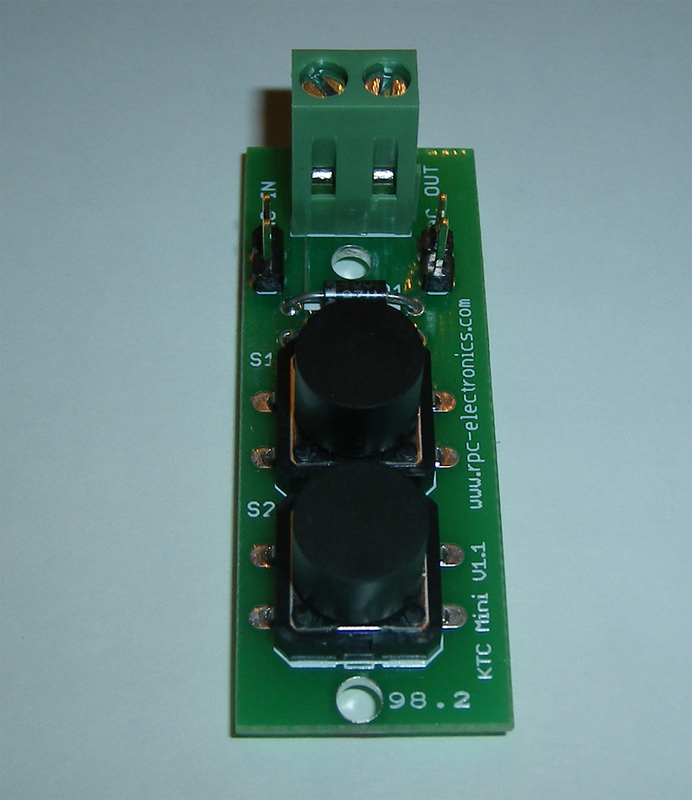 Simple Turnout Controller - This controller is a manual, pushbutton controller capable of controlling up to five Kato 2-wire turnouts. Built-in jumpers between each control set to "slave" turnouts to each other. Now you can switch up to 5 turnouts with the push of a single button! Simple Turnout Controller Mini - Single version of our controller. 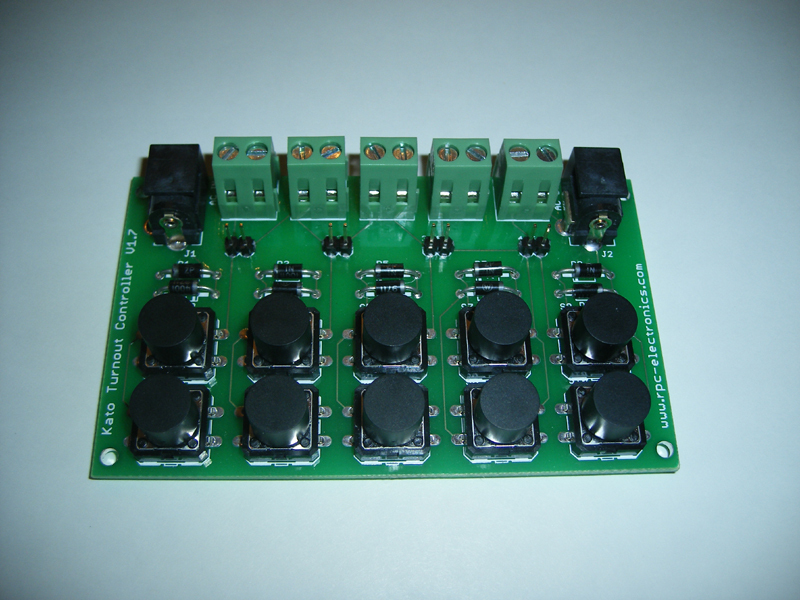 Has all of the same features of the full size version above, except cannot be slaved to other Mini controllers. 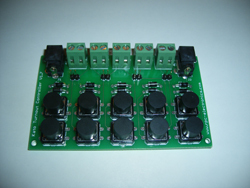 At buyer's request, buttons can be mounted on back side of PCB for panel mounting.